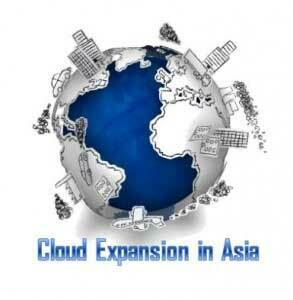 Cloud Computing in Asia | Better Business Prospects, Better Monetary Gains!! As cloud technology has evolved quite well in the organizations located in countries like the US and UK, it is now the turn of Asiatic region to get acquainted with the entire cloud concept. According to studies, several South East Asian countries like Singapore and Hong Kong have taken a step forward to introduce and deploy cloud computing model in their business environments. The initial case history of the Asian countries as the third world countries gave rise to the fact that these countries won’t be able to survive the tough competition of the business environment of ruling European countries. However, as the years passed by, this nostalgia was overcome to a great extent as Asia began to emerge as the most promising region for businesses from other parts of the globe to flourish and expand their branches in the Asian business market. Foremost reason why Asian businesses should adopt cloud computing model in their infrastructures is because of the fact that they will be able to bond with the already established counterparts in the better way. The third world stigma will not be there anymore as everyone will work in a healthy and flexible business environment. To understand the above mentioned point in a more simpler manner, let us understand it through a more descriptive explanation. As a matter of fact, cloud architecture encourages flexibility and reliability. Moreover, all these factors are based on trust. Now, when we talk about trusting in the technology like cloud, we probably wish to emphasize on creating a trust in the entire cloud network, trust in the government of that country, trust in the service provider and trust in the SLA or Service Level Agreements. Even the developing nations like Asian countries can set a benchmark in the cloud market globally. Thus, by incorporating or deploying cloud computing model in Asia based organizations building strong bonds with the governments and organizations of the rest of the world will be easier. 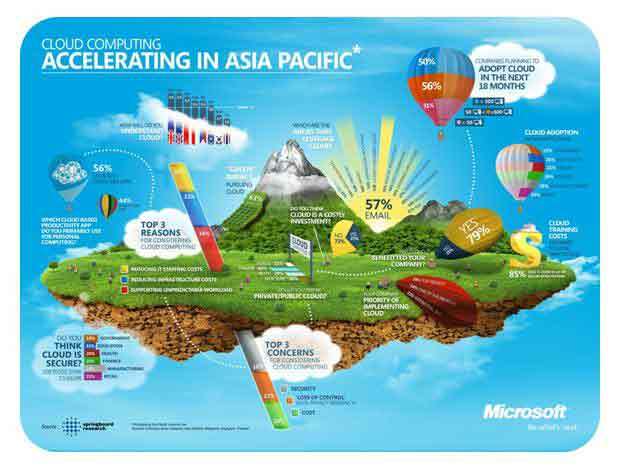 But, yet another question that arises in our minds is that is Asia ready for cloud technology model? According to various studies and researches, cloud computing in Europe will give rise to approximately 2.3 million job opportunities to boost the Europe’s economy by 2015. Knowing all these factors, Asia for sure has been the focus for cloud dialogue in conferences and seminars commenced by top notch Cloud providers and researchers. Yet another important reason why Asian countries should become a part of cloud market is the fact that they are the most populated countries worldwide. Thus, hiring large percentage of work force and at the same time constructing an infrastructure to accommodate the hired work force can be a bit difficult for such even established organizations of the developing or the third world nations. Availing and promoting cloud services can help organizations cut down on the cost to the company, while scaling up their environments to a huge percentage. Looking from all the aspects of NewLease, it is understood that the company is doomed to fit in the cloud market to set a benchmark level in the cloud industry. TSI or Touch Solutions Inc has planned to expand their business branches in the cloud computing market in the coming years. To implement their strategy, the company also launched themselves in the Phillipines Stock Exchange in order to acquire cloud business market for promoting feasible, competitive and efficient cloud solutions. No matter what comes on the way, businesses would continue to improvise and strategise new plans for their growth and expansion across the globe. User-friendly and technological innovations like cloud computing will always carve out a niche for businesses from all walks of life. Thus, investing in the such a technology will not only make the organizations based in the third world countries more viable but also help them to stand out as leaders setting benchmarks against their European counterparts.